Obviously, we’re very excited about the idea to play cooperatively on the go with the system’s controller. Many 3DS owners out there are well aware of the hassle involved in setting up a 2-player game, which requires a link to another friend's portable console. With Nintendo's latest entry, it looks like those days are long gone. 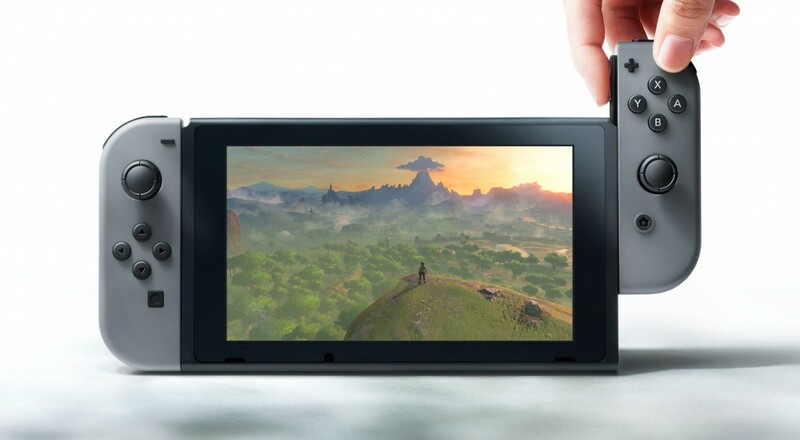 The Switch will allow you to conveniently split your detachable controller in half, share one with your buddy, and play together while viewing a single screen. Equally interesting is the system’s ability to link up with other nearby consoles and experience LAN party-type gaming when more than 2 players are desired. It’s definitely a lot to take in and frankly, hard not to get excited about. Will the system work as advertised? How much will it cost once released? Will we see strong support from 3rd party publishers this time around? Only time will tell, but we’ll be sure to keep you posted on updates leading up to the system’s March 2017 launch.